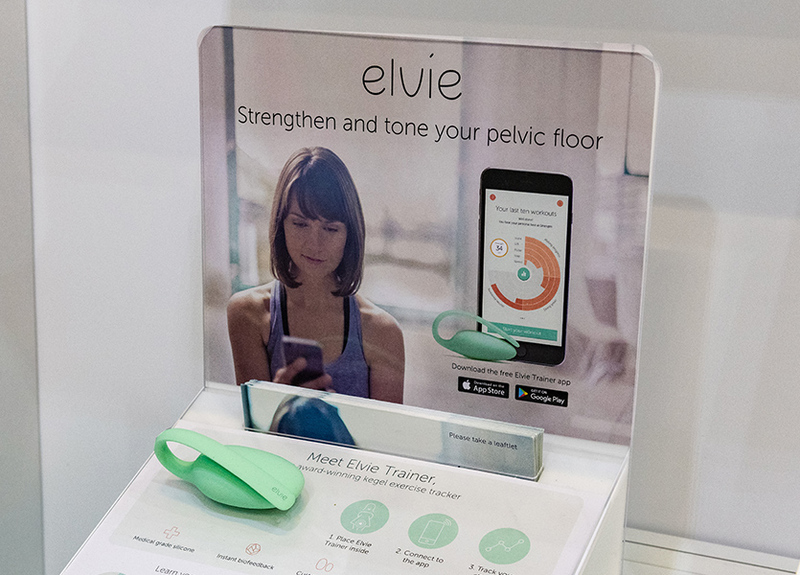 As a newcomer to the sector, women’s technology company Elvie could not rely solely on their brand to draw visitors in. Working in collaboration with our sister agency, Phoenix Wharf, who led on design, we worked to deliver a stand wholly focused on drawing attention to the launch of their newest product - the Elvie Pump - an industry challenging breast pump which recently made headlines when worn on the catwalk by model Valeria Garcia. Given Elvie’s stand was all about the launch of their newest product - the Elvie Pump - the team brought the stylish and minimalist breast pump to the fore on a ‘pick-me-up’ plinth where passing visitors could examine it closely. Beautiful lifestyle photography and muted, sophisticated colours stood out among the brighter palettes that featured so prominently at this show, to emphasise the game-changing nature of the product.